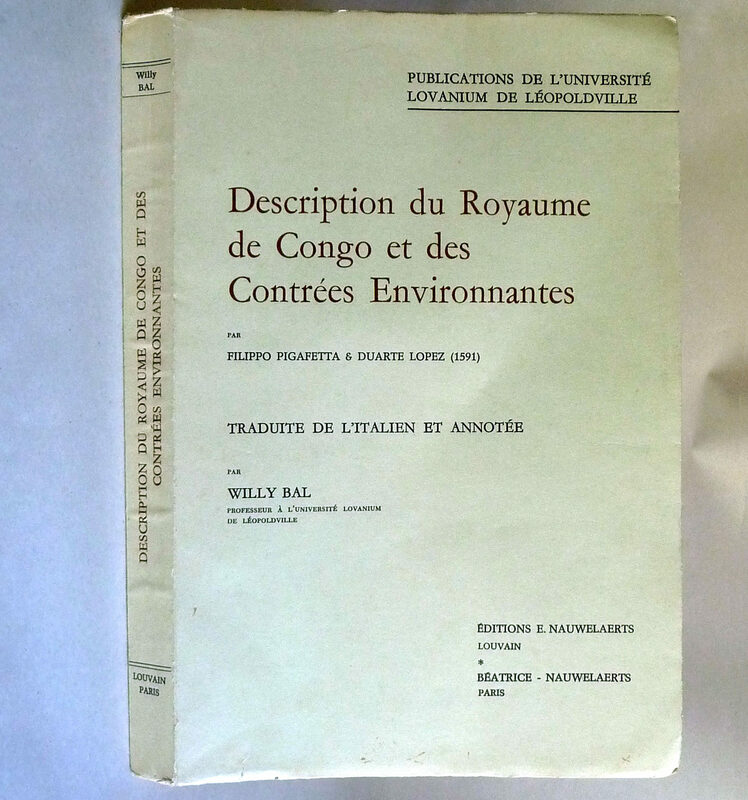 Description: Book has a little light wear to the wraps edges and fore edge corners. Faint age toning at spine. Very faint creasing to spine. No marks to pages. Binding is sound. 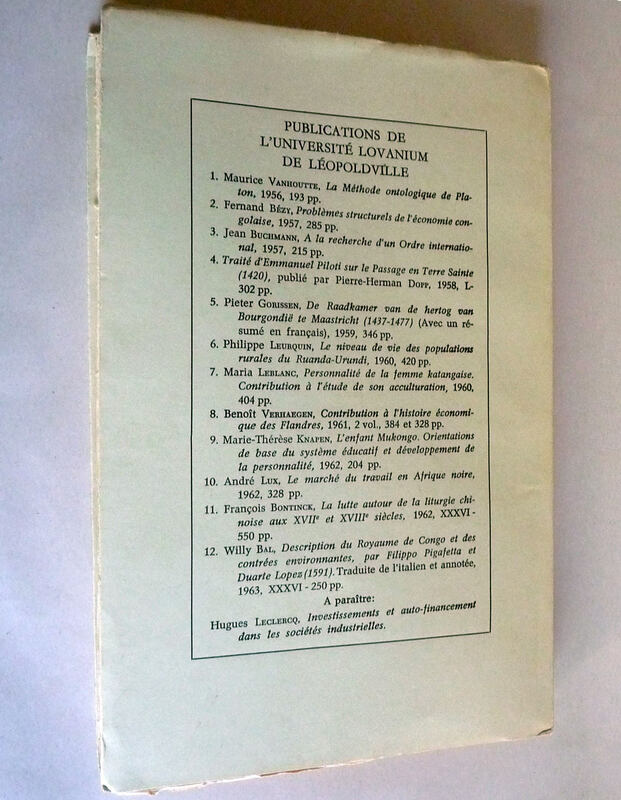 Publicatins de L'Universite Lovanium de Leopoldville #12. 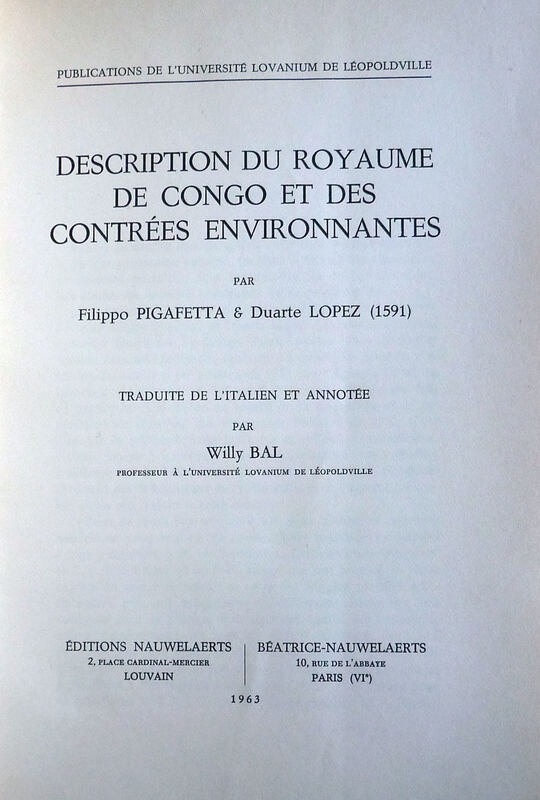 Translated from the Italian by Willy Bal. French Language.